Fingal's Cave is on the uninhabited island of Staffa, near Mull in the inner Hebrides of Scotland. It is built entirely from hexagonally-jointed basalt columns that are part of the same ancient lava flow that formed the Giant's Causeway in Northern Ireland. It has an un-navigable sea inlet, a giant arched roof and is filled with the eerie sounds produced by the breaking waves. The cave's Gaelic name, Uamh-Binn, means "cave of melody". Sir Walter Scott described Fingal's Cave as "…one of the most extraordinary places I ever beheld. It exceeded, in my mind, every description I had heard of it …composed entirely of basaltic pillars as high as the roof of a cathedral, and running deep into the rock, eternally swept by a deep and swelling sea, and paved, as it were, with ruddy marble . 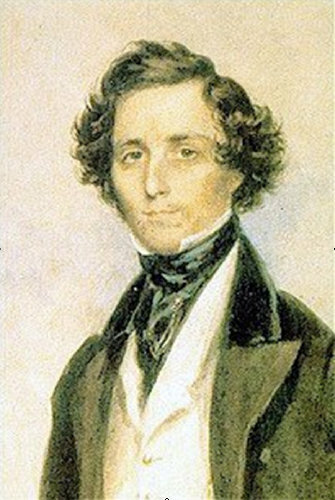 . ."
In 1829 Felix Mendelssohn, as was common for young men of fortune at the time, began a tour of Europe to complete his education and to gain cultural understanding. His went first to London, and then to Scotland where he visited Fingal’s cave. He wrote to his sister Fanny "In order to make you understand how extraordinarily the Hebrides affected me, I send you the following, which came into my head there." The musical extract he enclosed was the opening theme of the overture. The work was not completed until December 16, 1830 and was originally entitled Die einsame Insel, or The Lonely Island. However, Mendelssohn changed the name, rather confusingly using the title “Hebrides overture” on the orchestral parts, but “Fingal’s Cave” on the full score. The overture was premiered on May 14, 1832 in London, in a concert that also featured Mendelssohn's Overture to A Midsummer Night's Dream. It was revised after the first performance, the final version being completed in June 1832. Ever since the first performance it has remained an enduring and popular item of orchestral repertoire. Although called an overture, it is a self contained work. It is highly characteristic of Mendelssohn’s work, being on the one had strongly influenced by Mozart and Beethoven in its use of classical form and harmony, yet on the other looking forward into the romantic movement in music. One of the hallmarks of romanticism was a new focus on nature and out door scenes. The overture conjures up a whole seascape including the grandeur of the cave, the swelling of the sea, the light on the water and the fury of the waves breaking on the cliffs. It was one of the first works of music to evoke nature in this way, and remains one of the greatest of its genre. The overture uses the sonata form of the classical period. The first subject, played at the opening by the lower strings and bassoons, is the idea that Mendelssohn wrote while visiting the cave and sent to Fanny. This lyrical theme evokes the stunning beauty of the cave, and perhaps conveys the sense of excitement felt by the composer on seeing it for the first time. It is developed and extended in various ways suggesting the beauty of the natural surroundings. The second subject, in the relative major key, is longer and more lyrical and evokes the rolling movement of the waves. It builds to a tremendous climax where a closing theme, very strongly related to the first subject explodes with excitement. The development uses the melodic material freely, sometimes quiet and lyrical, sometimes dramatic and threatening and often with brilliant string decoration suggesting the wind and the crashing waves. The recapitulation is generally more decorated and stormy than the exposition. Mendelssohn's Hebrides Overture was performed by the Portobello Orchestra on the 24th March 2007 conducted by Anthony Weeden, and on the 7th July 2018 conducted by Sam Jones.